season and low season, when there are less travelers. 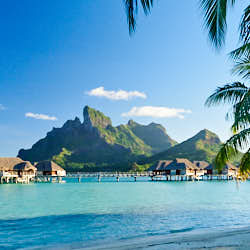 The months of April, May and November are included in Bora Bora shoulder season. 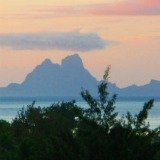 Tahiti’s tropical weather can be spectacular at the times of year that are categorized under shoulder season in Bora Bora. The months of April, May, and November usually turn on warm weather, warm waters, and light showers that pass quickly. 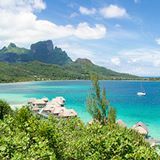 The summer vacationers from Europe and America – who have their holidays in Bora Bora’s winter - are conveniently absent, so there are less visitors. 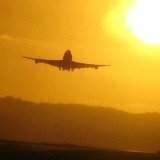 A lower demand for travel and accommodation means that the rates for getting here, and staying here, are reduced. 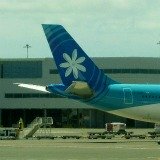 More people are now aware that shoulder season combines the best weather and rates to go to Bora Bora. 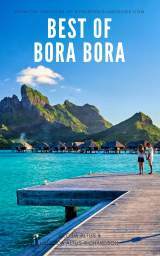 In fact, there’s been an increase in demand for shoulder season in Bora Bora. 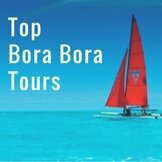 So most of the Bora Bora resorts have reduced the period of time offering shoulder season Bora Bora prices and extended peak season to be over more of the year. This is why there are only 3 months to enjoy the advantages. 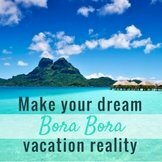 It’s essential that you book well ahead to secure a vacation during shoulder season in Bora Bora. 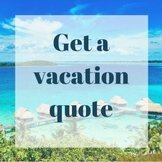 You should be looking to book from 9 months to a year ahead of going. Otherwise you will find shoulder season either booked out, or miss out on the lower rates. 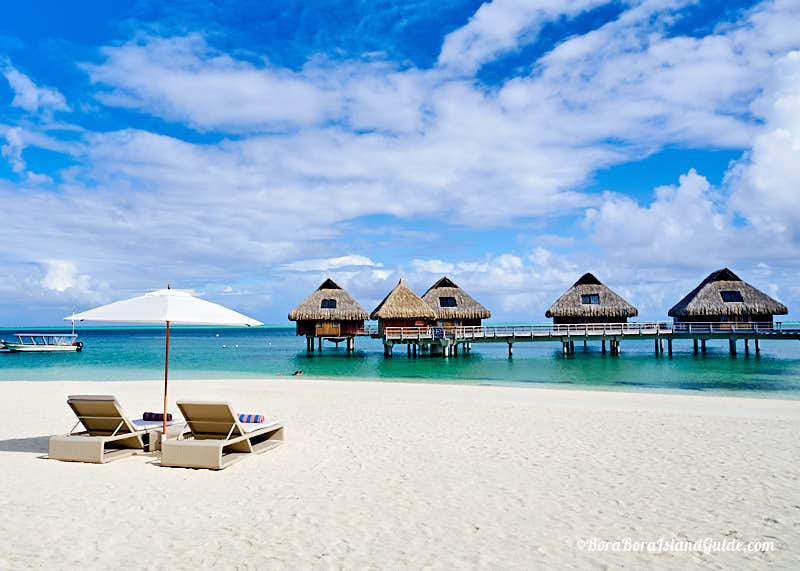 Shoulder season and low season in Bora Bora usually have the best specials at the Bora Bora resorts. 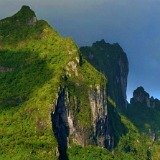 Ask a reputable Tahiti travel agent to find the best deal; including breakfast, a free night, and special bonuses like a couples massage or flower bed. Each resort will offer different temptations to lure you in shoulder season. 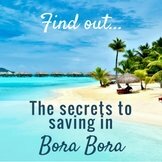 At this time of year you will often be able to extend your Bora Bora stay compared to visiting in other months, as one or two nights may be included for free, depending on the resort and the proficiency of the travel agent you use. 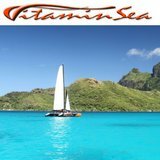 Make sure you find out which resort is right for you, and make this an important consideration. Don’t only base your decision on which package offers the most freebies. 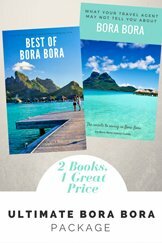 The resort you choose will have the biggest impact on your whole Bora Bora vacation fun, so choose the best resort you can, not just the cheapest price. 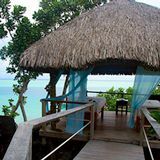 April and May of Bora Bora's shoulder season are spectacular months to visit Bora Bora. These months are just after the summer wet season ends, so everything is lush and flowering. 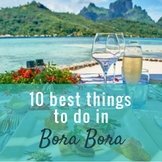 November is also a lovely month to visit Bora Bora. 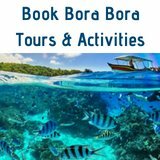 As November in Bora Bora is heading towards summer-time you will feel more warmth in the air and the lagoon temperature, so this is a great time to visit Bora Bora if you are comfortable in warm climates and love being in the water. 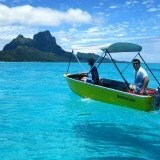 If you’re looking for cheaper rates than shoulder season prices, consider going during low season in Bora Bora.